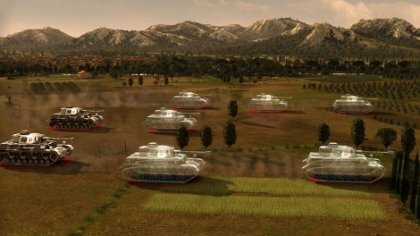 Has RTS finally cracked console? Why World War II? Is truth really the first casualty? VGD talks R.U.S.E. with Ubisoft producer Mathieu Girard. 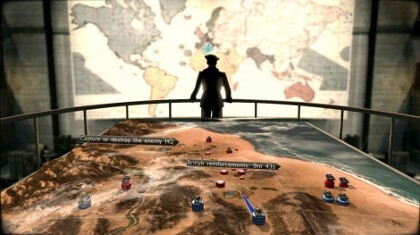 The parallel that comes first to Producer Mathieu Girard’s mind when he thinks of R.U.S.E., Ubisoft’s punctuation-loving real-time strategiser, isn’t Command & Conquer, or World in Conflict, or any of a hundred twentieth century warfare sims, but something far more ubiquitous and, many would say, humble – poker. R.U.S.E. might rock more plate armor, but beneath its carapace lurks the same love of trickery that routinely empties (and occasionally fills) the pockets of thousands of internet card-sharps. In many respects the game is an exercise in refinement, boasting an intelligently reorganised interface and a dynamic zoom function that makes tracking around enormous battlefields a piece of cake. The icing on that cake, however, is the ruse system: 10 special powers, doled out per the ticking of a resource timer, that allow you to manipulate your opponent’s perceptions or uncover his secrets. Build balsa-wood tanks and cardboard gun turrets, shroud regions in radio silence or lift the curtain on enemy waypoints. Girard was at Royal Hospital Chelsea in London this month, demoing the game at Ubisoft’s post-E3 showcase. We had a bit of a chat with him. Read it below. VideoGamesDaily: We now have a reasonably large and quite solid selection of console RPGs, but there’s still a lot of doubt over the genre’s future outside PC. How comfortable are you with the console version of R.U.S.E.? Mathieu Girard: Well I think that console games have tried to find solutions to the issue of having the right controls, but it’s more like binding controls to a specific situation, or changing the plan of what strategies you can do in-game, so that it fits on a console game pad, while we really wanted with R.U.S.E. to preserve the strategic vision aspect and the kind of decisions you will have with that. So we worked on streamlining the types of decisions and how it could be adapted to a game pad, with a streaming engine, these kinds of decisions – and actually we did not sacrifice the depth of the game. Pull the camera all the way out and you might as well be playing RISK. We avoided micro controls and micro-management because for us that’s more tactics than strategy. We basically solved the remaining issue in console strategy gaming, which is the translation of getting from the battlefield back to the base to build some units, because in most games you have to scroll, and sometimes you have some shortcuts to open some buildings, but in R.U.S.E. you can actually move there very quickly from point A to point B, by zooming in and zooming out. We also have the production menu group, which you can open anywhere on the map, so you don’t have to go back to base to do that. We also have snapping systems on the pad and on Move, which are going to select the closest valid unit or objective or enemy, so you don’t have to precisely point at that thing. We also have an auto-lock system – when you hover on a unit and it’s moving, the game is automatically going to follow it, so you don’t have to move all the time to keep track of it. So, the combination of all these systems make it more immersive and useful, so there’s no secret recipe – we actually put in all the props to make it very simple to use. Has the recent beta been a success? First of all, the response was massive – we had 1.5 million downloads on Steam. And the answer was quite positive on the gameplay, I would say. Maybe it was more like ‘we need you to include this or that to tune this and that’, which we did as a response to the feedback, but we were comforted by the feedback from the high-ranking players. They said ‘yeah, the factions are about OK in terms of tuning, the gameplay mechanics are good, we just need to have this or that’. The thing is it was actually the third beta test we’ve done. We opened it up before – there was the VIP feedback, the limited beta feedback, which was more for tuning the game fiction than the game balance and factions, and before that – I would say a year now, more than that – we had a very closed beta test with 200 players, who remained anonymous. They were testing the basic mechanics of the game and the R.U.S.E. system was very different, the factions were very different. So the game was different, but still it allowed us to check what was working or not working, what had the good rhythm. We went through several stages to have the community develop the game in the right way. How did the concept of ruses evolve? Was that there from the beginning? 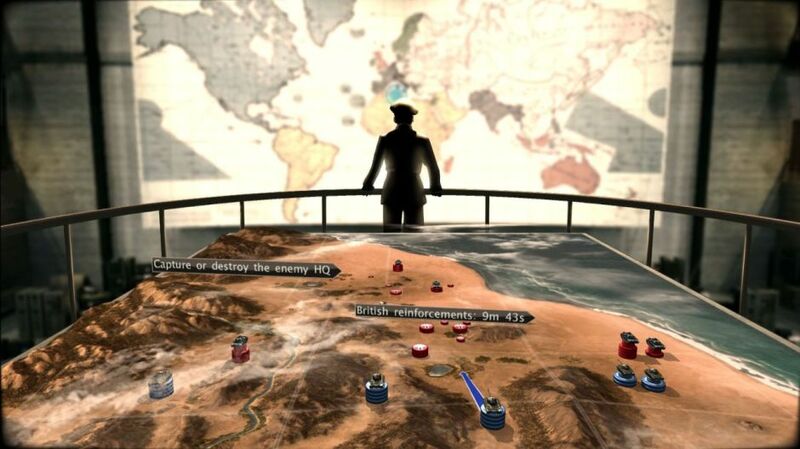 The experience of deception was there from the beginning, because the experience from the start, the few lines of data that were in the first test of the game… It’s a game about strategy, being a general, making plans and manipulating your enemy, or being manipulated by your enemy. So it was there but it took a lot of time to come up with the right features. Now you see them, now you... still see them. But the other guy won't. We tried ‘micro ruses’, like for instance you could duplicate some radio echoes for units, you could create some micro decoys, but then it didn’t feel right within the scope of the game which was macro. So we came up with this idea of sectors, where to apply the ruses. Then at first we had three ruses you could use at the same time, and you could switch from sector A to sector B… but most of the time people were just placing ruses at the same time and then not moving them again. So we changed to a time limitation, a ruse counter, which is increasing so they can save on ruses and then use them all at the same time, or use them at a regular pace. It was the system that took the longest to get right. Also, with the production of units, the supply system – we had ammunition supply lines before, lots of crazy stuff that wasn’t really helping the game experience. 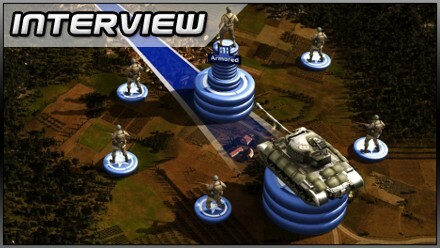 Posted in Interviews, Spotlight, and tagged with PlayStation 3, real-time strategy, Xbox 360.